Does anyone know what this glyph means ? I have only seen twice James mentioning specifically what a glyph means or combination of glyphs mean. The first one is from the wingmakers original forum Q & A which I just discovered... it was from 2001 ... who did the questions btw ? good job! Question 34-S3: I am interested in the paintings and especially the symbols in them. Can these be translated into English? Are they the Senzar symbols, which DK mentions in his writings? A. Senzar, besides being an alphabet of its own, can be rendered in cipher characters, which correspond to the nature of ideographs rather than of syllables. Senzar, as a language, was brought by the Central Race to earth. The reason is quite simple. Ideographic language can convey a tremendously complex concept in a single character. It’s very efficient and can be effectively encoded for highly targeted transmission. Cosmological and mathematical concepts of significant importance could be reduced to a symbolic rendering, but the contextual meaning of color and secondary matrix brought the full meaning of the symbol to light, thus its encoding was complete. In other words, you can look at a specific symbol of the twenty-fourth Chamber Painting (e.g., the second, primary character in the vertical matrix in the upper left section of the painting). If taken out of its framework, this particular character means one thing, which would transpose to Sanskrit, but when viewed in its contextual matrix, it is elevated to Senzar, where its meaning is encoded as representing the Wholeness Navigator within the human instrument. Senzar is a language that flows between alphabetic characters, mathematical symbols, and musical notes. It is an integrated language, sometimes referred to as the Universal Language of Light or the Insignias of First Source. Is "the second, primary character in the vertical matrix of the upper left section of the painting (24)" the "gecko" looking thing? -or is it the "long" glyph beneath the "gecko" glyph? Since beneath the "long" glyph is a little box with lines, and I don't know if it is a primary character or not. Does he mean the second glyph from up to down or down to up ? either way it is the "gecko" glyph unless it is down to up and the box with lines is a primary glyph... in that case its the "long" glyph that is "the second, primary character in the vertical matrix of the upper left section of the painting (24)" which is it?? That is an interesting question. It can be hard to break things down like these symbols and then categorise them into the limited definitions we have, but we have to start somewhere. I suppose it requires us to use the non-thinking part of our mind to observe it, then apply a bit knowledge we might have, and then see what unfolds from that. Maybe then the wholeness navigator will lead to its meaning. Also, I think it is quite important to look at these symbols in the context of the whole painting rather than in isolation. 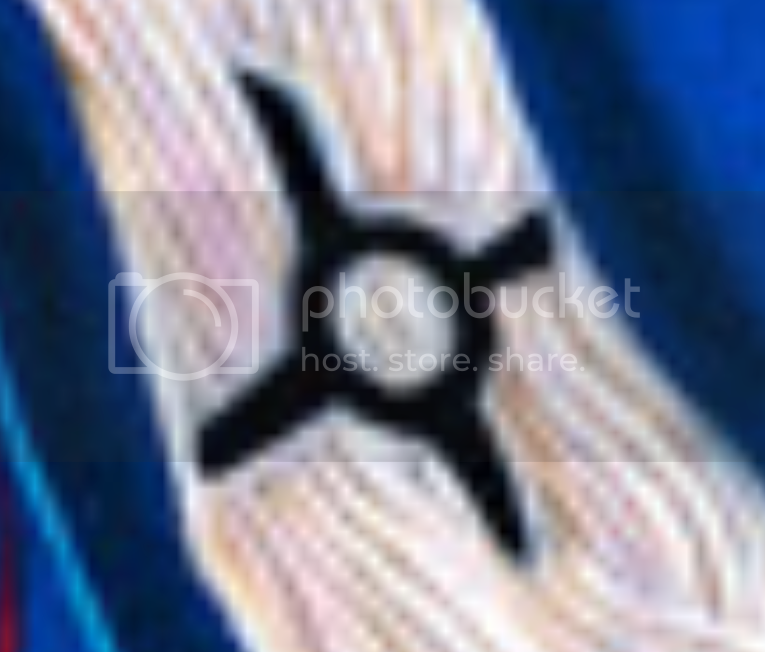 This symbol you pointed out (at the start of your post), belongs to the chamber 2 painting. That symbol, I really don’t know what it means, but it does give me a stirring. I go between two things… first is that it has something to do with a cell and its connection points to something. And viewing it in the context of the whole painting, my sense of this extends as if beyond just the physical body, like it has connection points to a non-physical structure of sorts. The other thing I think it could represent is the soul and its connection points to something – perhaps the physical structure. On the other hand, just using pure logic, it could represent the ‘I am We Are’ due to the horizontal and vertical lines, but I don’t think that is what this painting is about essentially. I’m curious to know why you were interested in that particular symbol. Why has it got your attention? The symbol referred to within the glyph bar from the chamber 24 painting, I am quite sure is the second symbol from the top. We see this symbol represented in other paintings, although in most other paintings it is Universality, which is the main line form. But here in this glyph it changes to mean “wholeness navigator” because the human form/instrument is represented with the arms and at the top is the arc with a dot – which communicates to me that it ‘senses’ or it kind of magnetically recognises the target that it is navigating towards. So to me this symbol it is a navigator within Universality. The symbols below that one - the long one with the triangles, is also interesting. It carries a strong sense of movement in it, a bit like a trailblazer connecting with its counterpart. 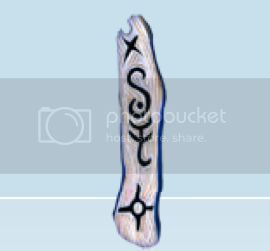 I wonder if it represents the connecting between the soul and the soul carrier – (top part Soul with a tail of light and triangle, and bottom part the soul carrier anchored to Earth)? Maybe that’s a stretch, but that’s how it’s talking to me. If you have different thoughts, please share them, I’m interested. there's an "x" and an "S" looking glyph, and then a hook, and then the "cell". What could that glyph bar mean? the glyphs are also in the chamber 2 painting. I wonder why in the new website, these glyphs have made it out from the chamber 2 painting, and are featured? I don't know what that glyph means, other than it kinda looks like a star. But your points about it being a cell is probably more probable. I don't know really why it got my attention, but one year ago I included that glyph into a form of art that I made. I follow your thoughtlines about your interpretations of the glyphs. I like how you likened the long one to a trailblazer connecting with soul and the soul carrier anchored to earth. Oh yes that glyph bar is on the homepage, I hadn’t paid particular attention to it before. That is interesting. I wonder why it has been singled out in this way. I’m not sure. The X is such a generic symbol, it could mean anything at all to a mind that doesn't know! The two symbols in the middle, I’m not sure about either… maybe they have something to do with Sound and Form that imprints our physical and/or non-physical DNA (since I think this painting may have something to do with the genetic template that is exported here). I notice the symbol with the hook is also in the Chamber 17 painting. The symbols I called a “cell” could be a star… but then – what is a star? It could be a sun, a planet or anything in our galaxy that appears as a star to us on Earth, so it is sort of vague. I think the symbols are more precise with their meaning. The interesting thing is right now – my body is heating up… LOL, which seems to only happen when I am studying something specific with the Wingmakers… very strange. So I’ll sleep on it, maybe I’ll have a different answer later.